Founder/Winemaker Randall Grahm’s esoteric wine descriptions. He has a colorful, yet informative writing style that compliments his inventive style of winemaking. My grand idea is to share Randall’s knowledge and rendition of his very distinctive, flagship wine and offer my own interpretations to help you understand wine descriptions and make more educated choices in the future. Randall’s comments on this 2010 vintage was typically rarefied, yet told me everything I need to know to become intrigued or not with drinking the wine. His descriptions are in bold. His signature, aged Rhone-style blend with varietals used in the famous Chateaunef-du-Pape appellation in France’s Rhone Valley. Appellation: Central Coast Santa Cruz, Monterey, San Luis Obispo Co. This wine already has some age on it, but can handle as much time as you want to give it. 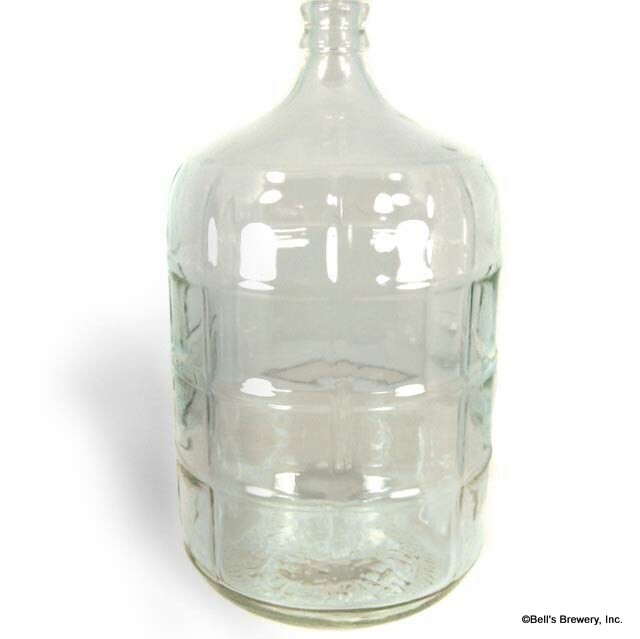 smaller 5-gallon glass containers where he allows the wine to rest “sur lie” for nearly two years; clearly unorthodox. Lees are deposits of residual yeast that forms on the bottom and sides of oak barrel during the early fermentation process. 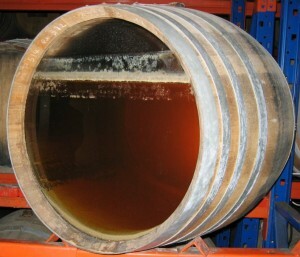 Often, the juice is filtered, called racking, and transferred to clean barrels. In many wines, notably those great ones from Burgundy in France, the juice and yeast are left together described as “sur lie,” which tends to give a creaminess to the finished product. Randall tempts us to crave an aged Rhone blend with very creamy texture and mouthfeel by informing us that he has left the wine “sur lie” for 20 months, not in oak barrels rather glass containers. While “sur lie” tends to minimize the impacts of oak, glass containers is a new concept to me. 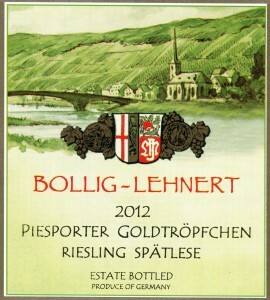 He also informs us that this wine is not fruit-dominant, developing its structure around more savory herb flavors. Firstly, Randall is not referring to the stench of someone smoking in a public place, more like the smell that permeates a cigar factory in the French Quarter in New Orleans. The bouquet has some fruit but is clearly dominated by hearty, pleasant cedar wood aromas often found in cabernet sauvignon from the Bordeaux region of France. Notes of leather signify that the wine has healthy tannins and will age exceptionally well, but can be harsh in young wines. Drinking a young tannic wine can often fashion the sensation of sucking on a piece of raw leather. References to brandy, used to fortify sweet wines and raw ginger signifies that Randall is preparing us for a hearty or “earthy” wine, that has enough time in the bottle to drink now, but will improve significantly as it ages. Apparently, garrigue is an aromatic shrub that grows in the Mediterranean region and heightens herbaceous elements to the bouquet, courtesy of the dominant syrah in this blend. “Cinsault lends the Montmorency cherry, one of the flavor elements typically associated with Cigare (and also, coincidentally seems to get the final word in over the protestations of the vocal syrah). But, don;t let that fool you – this is no fruit bomb. There are strong suggestions of iodine – meaty and bloody. This wine is all about elegance, and seems to disarmingly suggest a Burgundian take on Chateauneuf, if such a notion can be fashioned. This is not an ordinary wine. 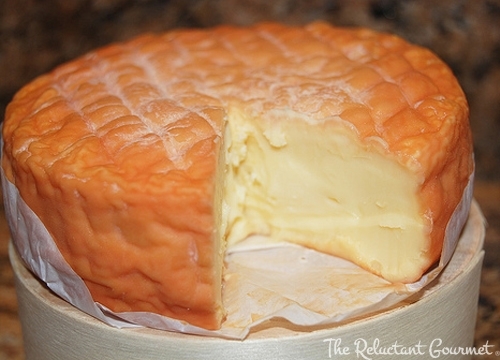 What is most noteworthy about it is its amazing silky texture, savoriness and infinite length. the world’s finest wine regions and consumers are passionately loyal for each. Le Cigare Volant is actually a blend of southern Rhone grapes, but here Randall is referring to its significant spice elements that are the cornerstone of pinot noir from the Burgundy region. For what its worth, these comparisons make the wine sound very intriguing. Again emphasizing the savory over fruit elements, Randall reminds us that the wine is also silky smooth with a very long finish. 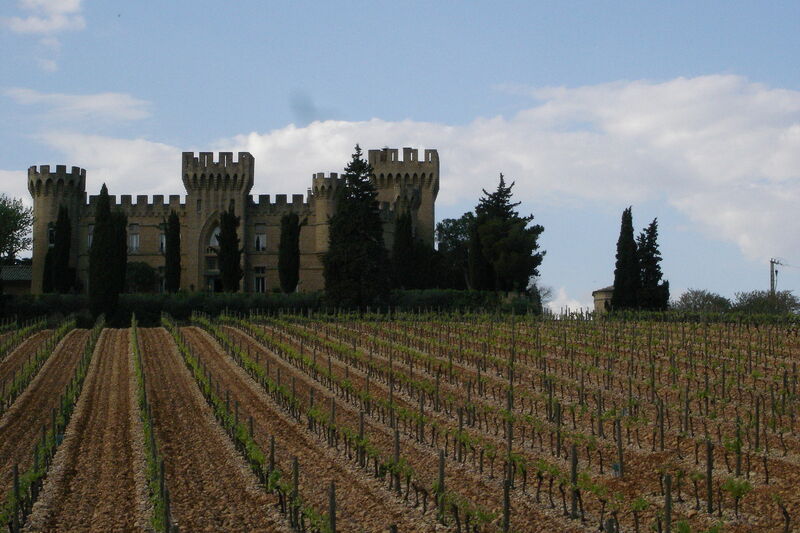 “The 2010 Le Cigare Reserve’ is wine to be savored and studied over a long meal with friends. Will benefit enormously from a gentle decanting or even sitting in large glass for 30 minutes, especially when consumed young, This bodes well for the wine’s great aging potential”. vintage. While descriptions such as “earthy,” “spicy” or “savory” can help us match features to our palates, the word “elegance” makes it an easy choice for me. Although we have enough information to determine that the 2010 is a bold, hearty wine, we can also surmise that the additional time in the bottle will enhance its soft side and make it more accessible With the proper decanting outlined above, pairing this wine with tri-tip or rack of lamb will compliment the wine and help the flavors of each to reach their potential. For us “pescatarians,” pairing it with Epoisses cheese, an odiferous, silky cheese from the Burgundy region in France is highly desirable. I have tasted most vintages of Le Cigare Volant since 1990, each unique on to itself. Though I have not yet tasted this vintage, preferring to let it age longer, I would recommend it based on my interpretations of Randall’s comments and knowing that he has taken steps to create a distinctive wine from the 2010 harvest. Despite the fact that D.E.W.N. members do not pay the retail price, this will be a special occasion wine to be shared with family and good friends. This entry was posted on Tuesday, October 7th, 2014 at 4:42 am	and tagged with Le Cigare, Le Cigare Volant, Le Cigare Volant Reserve, Rhone Valley and posted in Wine. You can follow any responses to this entry through the RSS 2.0 feed.